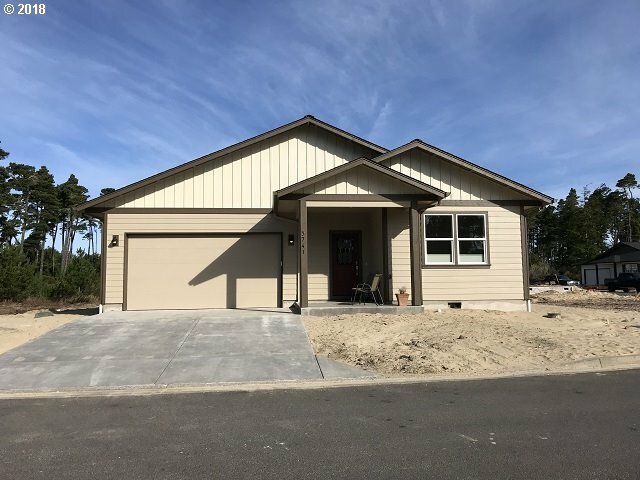 SANDPINES EAST: New construction, Umpqua X model home. Featuring dramatic 12 foot high ceiling in the great room which includes extra high windows for view. Quartz countertops in the kitchen, SS appliances, drawer microwave, custom soft close cabinets, roll-in-shower and heated floor in master bathroom, mini-split heat pump for heating and cooling. New gated community includes ponds & nature walking trail that parallels the golf course.